As webserve has done away with Digital Media and encourages folks to put video on Kaltura, I have developed a plugin that allows you to playback Kaltura video in Omeka. This plugin, which will also allow the playback of video from Youtube as well, will allow those who need to use video in Omeka to use Kaltura to store their videos and playback in an Omeka site. I will demo the setup and use of this plugin in Omeka. Presentations are from 12:00 pm to 1:00 pm EST in the Herman B Wells Library in Room E159 (Hazelbaker Hall in the Scholars' Commons). 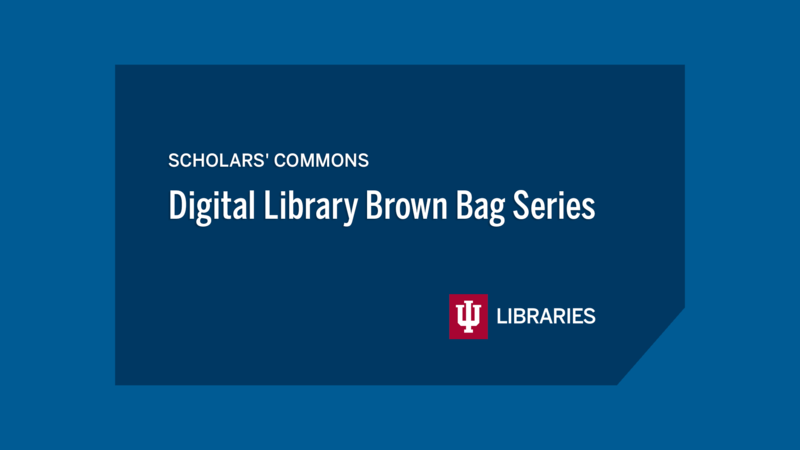 The Digital Library Brown Bag Series is available for remote viewing via the Web. Anyone may view; you do not need to be an IU affiliate. Go to https://iu.zoom.us/j/890205369 to view and listen to this presentation. Sign up for email reminders! Send an email to iulist@iulist.indiana.edu with the message body: sub dl-brownbag-l Firstname Lastname.